While there’s no such thing as a boring castle, some, admittedly, have a bit more panache than others. 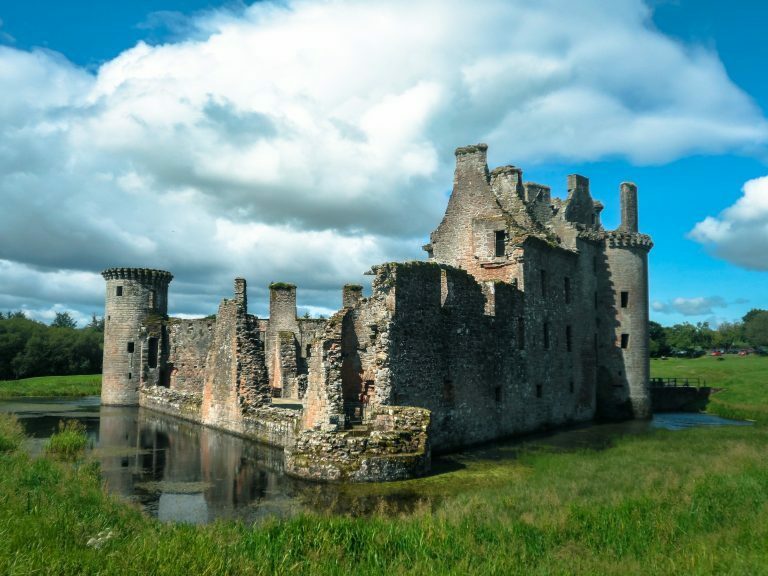 Enter Caerlaverock Castle, one of the most undeniably fun castles in Scotland, and the sense of wonder begins as soon as you arrive, with the great twin-towered gatehouse providing an instant focal point across a field of grass – almost challenging you to charge it. Any kid who has ever dreamed of fighting dragons or being a knight in shining armour couldn’t ask for a better setting to play out their daydreams. While kids can keep busy for hours duelling with foam swords throughout the castle’s corridors, history buffs have plenty to investigate. 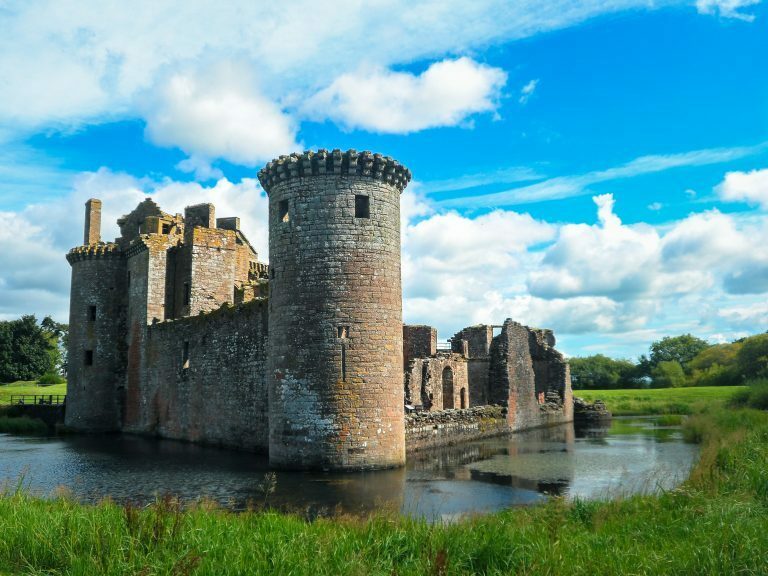 Caerlaverock is unique in being Britain’s only triangular castle and belongs to the ‘golden age’ of castle building in Scotland. 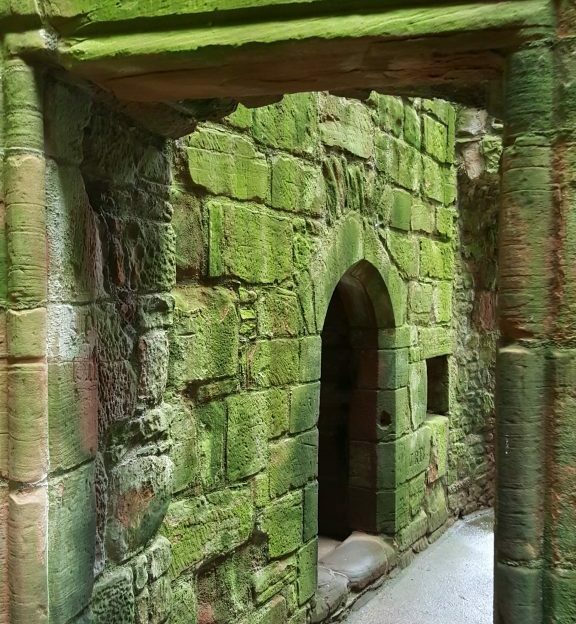 This period, from approximately 1250-1350CE, saw the rise of many mighty strongholds like Dirleton, Bothwell and Kildrummy. Caerlaverock was built and held, for the most part at least, by the Maxwells. 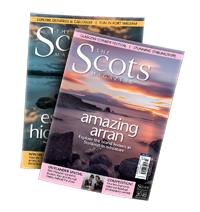 They were a powerful family in southern Scotland, a region that often bore the brunt of furious English invasions. 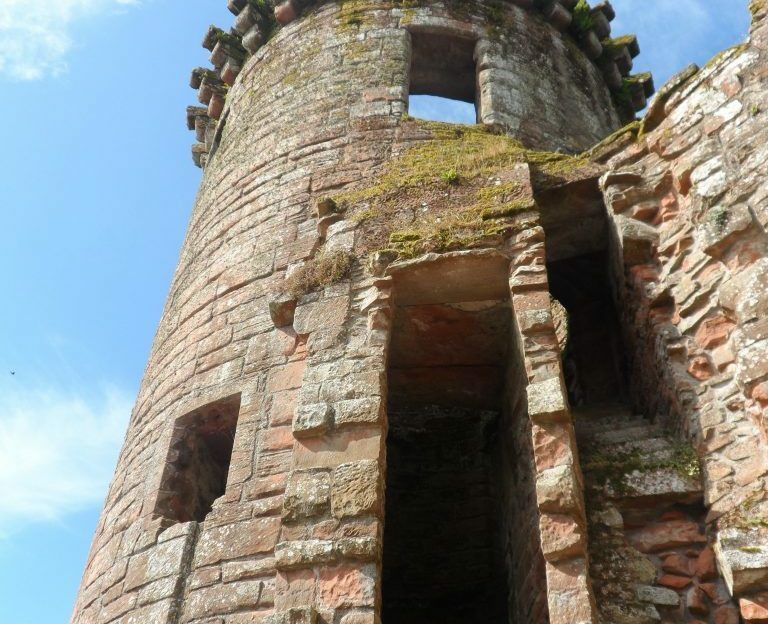 One such invasion came in 1300 and led to perhaps Caerlaverock’s most dramatic moment. Edward I, seeking to punish Scotland for Wallace’s continued insurrection, sent a force to assault Caerlaverock and secure Nithsdale. Those sent numbered 3,000 men-at-arms, including 87 knights and many specialist siege engineers. A great and terrible scene unfolded before the defenders as it became clear that the English army was not going to sit around and wait, but assault the castle dramatically and decisively. Perhaps as few as 75 Scots defended the walls, outnumbered almost 50 to 1. A herald in Edward’s army recorded the events of the siege in a remarkable document called the Roll of Caerlaverock. It is one of the best original sources for a medieval siege in existence. Containing meticulous detail on the knights and banners present in Edward’s camp, and the methods of assault, it concludes with a tone of respect towards the castle’s defenders for the valour of their stand. For two days the hopelessly outnumbered defenders threw back everything that the endless waves of enemy warriors threw at them, hurling rocks from the parapets and steeling themselves in the few, quiet moments between attacks. Perhaps they even dared to hope that they could hold out against the tide after all. One de Kirkbride was by many great and crushing stones assailed, but he set his shield before him, white with a green cross engrailed. Stoutly, he and his the portal smote as smiths their hammer wield, while huge stones and bolts and arrows rained upon them till they reeled, wounded, wearied, and scarce able to find strength to crawl away. 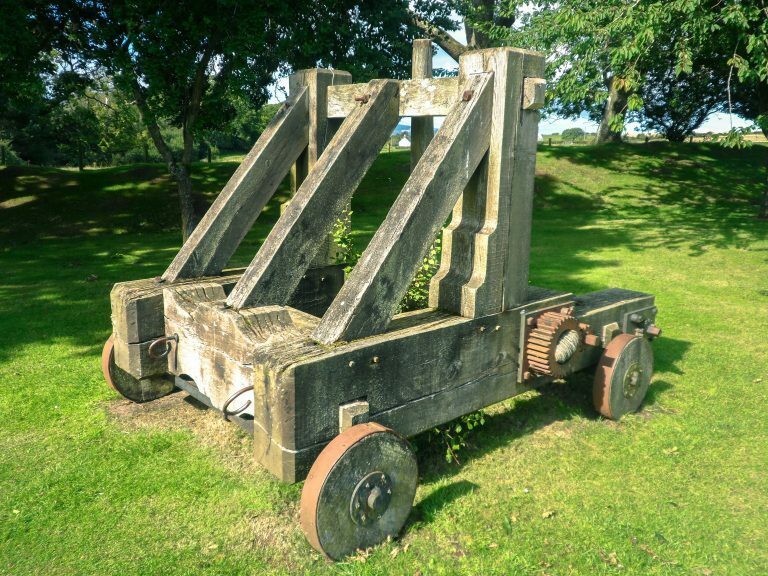 The end came when several massive siege engines were raised. They battered down the walls from afar with stones weighing over 50kg. With a part of their wall gone, and exhausted from two days of ceaseless combat, the Scots surrendered. King Edward, not one to adhere to chivalry, had many hanged. Ohers were set free so as to spread word of the futility of resistance. Cowed but not broken, some of the survivors would later join Robert Bruce. They would go on to avenge their fallen compatriots at the battles of Loudon Hill (1306) and Bannockburn (1314). 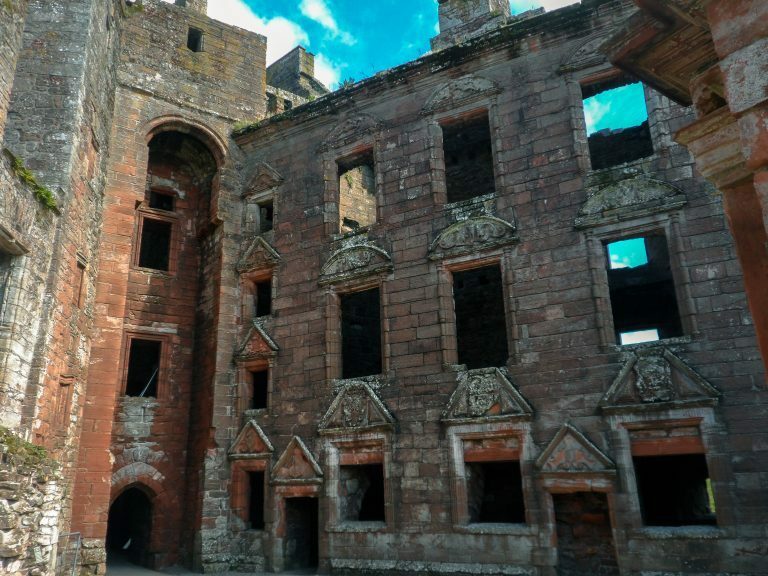 Historic Environment Scotland, who manage Caerlaverock Castle, have announced intentions for an augmented reality app for the site. I’m incredibly excited as this will allow visitors to the castle to collect items from its history. Interactive technologies like this will bring history to life for future generations of castle hunters in a way unimaginable to us only a few decades ago. Perhaps a stone hurled by one of the stalwart defenders of 1300 will be amongst the treasures to find? 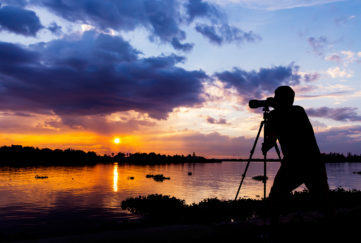 And click here for more of David’s Castle Hunter blogs!